Summer is almost here, and we can start to enjoy the thrill that the blossoms of this warm season bring! Flowering trees in Texas can inspire us, and they may even help us forget about the heat and humidity. Of course, the shade that these trees can create always helps, too! During our sweltering Texas summer, finding a hospitable place outdoors is a welcome relief. Shade trees that produce flowers can provide comfort as well as brighten up our landscape. This way, we can add value to our home and create a relaxing outdoor space, no matter how hot it gets. 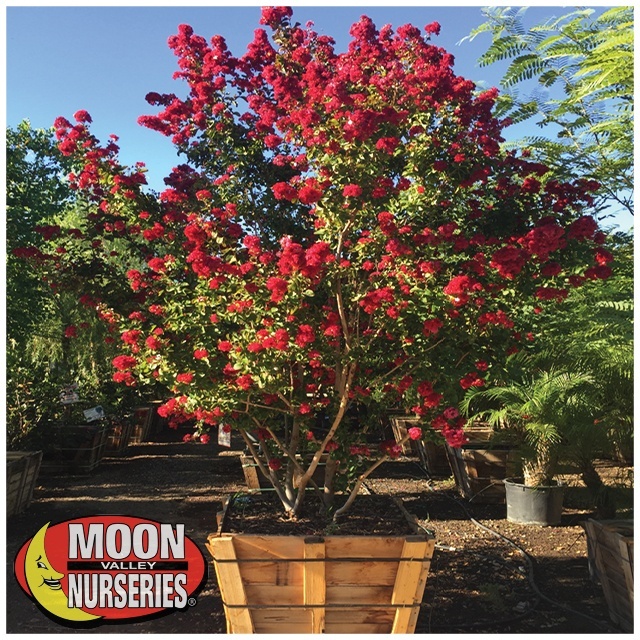 Below are our top flowering trees for the Houston area. These natural beauties can produce vibrant blooms, and we can plant them in groupings for maximum effect. With our buy five get one free deal, we make it easy! Plus, we offer free planting on all six trees, huge size or larger! Crape Myrtle (Lagerstroemia spp. ): This smaller sized tree is ideal for any size yard in Houston. The blooms are sure to attract all the right attention, too. When in bloom, large clusters of vibrant flowers can cover the tree, creating an explosion of color. Flower hues vary by the variety, and they range from purple to red, white and pink. You cannot help but take notice of a yard with Lagerstroemia trees. They stand out all year long. In the fall, the foliage transforms to showy bright orange, and when bare, the spotted, gray to light brown bark may shed, revealing a pinkish, inner bark. And, they can provide shade, too! We recommend highlighting these ornamental trees with landscape lighting, which can take your landscape’s “wow” factor to the next level! Custom-grown hybrids are the best bet for Houston yards because of their superior mildew resistance. 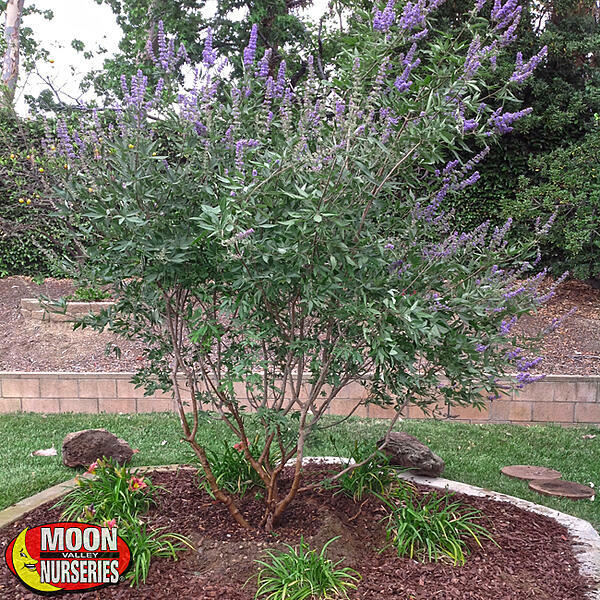 Vitex (Vitex agnus-castus): Sit back and take in the beautiful scenery of the vibrant purple blooms that form on every growth tip of this attractive multi-trunk tree. The flowers arrive in late spring and into summer, beautifying yards in Houston. The lilac-colored blooms are fragrant, too! This small, deciduous tree features a spreading growth habit that can create filtered shade. They are the perfect tree for patios and in any beautiful garden setting. Also known as the Chaste Tree, they thrive in the heat, making them ideal for Houston landscapes! 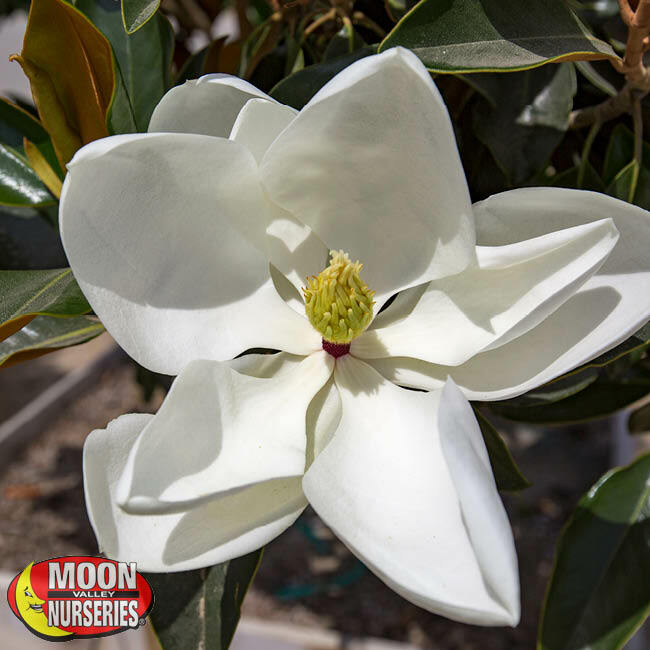 Magnolia (Magnolia grandiflora): Magnolia trees are synonymous with the South. These dense shade trees bring lots of color and beauty to yards and streets throughout the Houston area. When in bloom, they can produce large, fragrant white flowers, filling the air with their sweet fragrance. There are not too many trees that can match the beauty of these Houston area favorites. They feature large, glossy leaves and specimen size trees can create plenty of shade. These trees look their best when they are given room to grow. Plant one in your yard and take in the beautiful scenery. 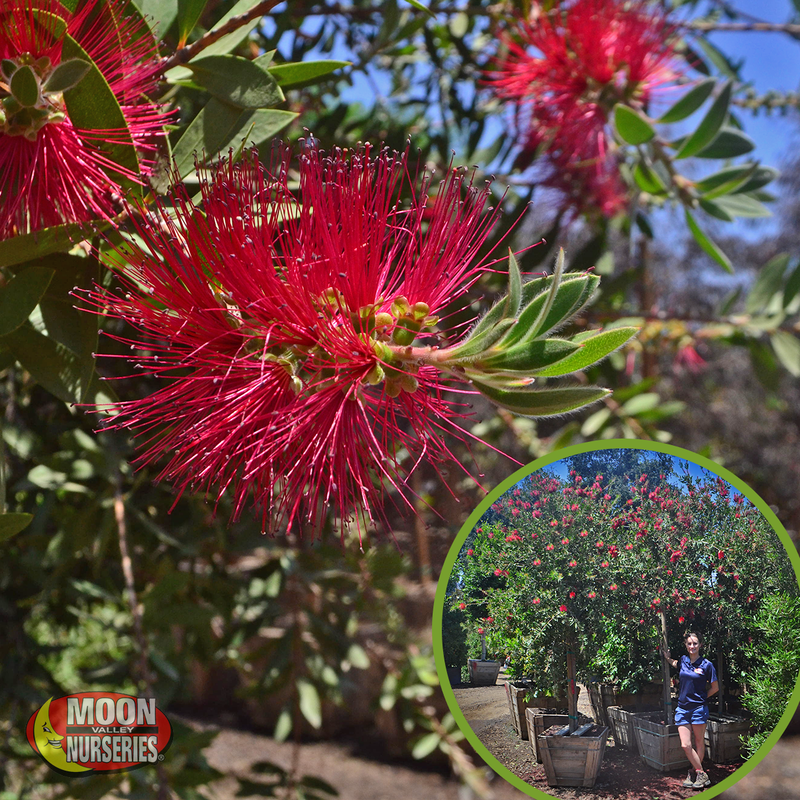 Bottlebrush (Callistemon): Bright red flowers appear in waves throughout the year! The flowers offer more than visual beauty – they also have an intoxicating aroma! These are an excellent choice for homes in the Houston area. They also have green-colored evergreen leaves, so we like to use them as a beautiful privacy screen hedge that can block unwanted views in style. These ornamental trees do not get too big, making them the perfect size for any size yard in Houston. 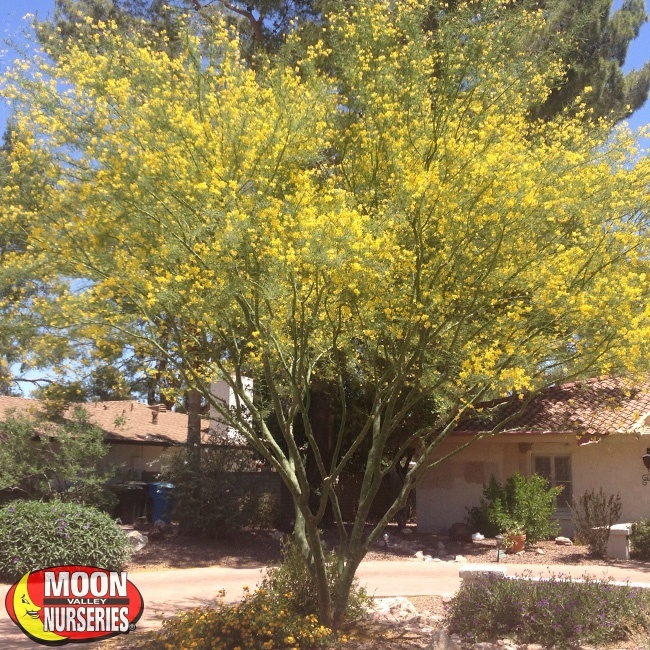 Museum Palo Verde (Cercidium x 'Desert Museum'): This thornless variety is one of the prettiest trees you will find! The dazzling, yellow blooms last through the summer and contrast beautifully with the light green foliage, branches, and trunk. It’s a multi-trunked tree that can create filtered shade, so we recommend mass planting for the most significant effect. Their light and airy appearance can soften the look of any landscape. Don’t let the summertime weather keep you indoors. Find a nice spot outdoors and take in the scenery of the season. The sight of blooming trees can make you feel good. Many of the trees we mentioned can be planted for shading a west window, or to create a living fence along a property line. These trees can be planted as a focal point that is sure to attract all the right attention when in bloom. A sea of colors awaits when you plant these flowering trees. Now is the right time to buy five or more trees and have them planted by our professional planting crew. Color, beauty, shade – you get all this and more, and who doesn’t want that for their yard in Houston!